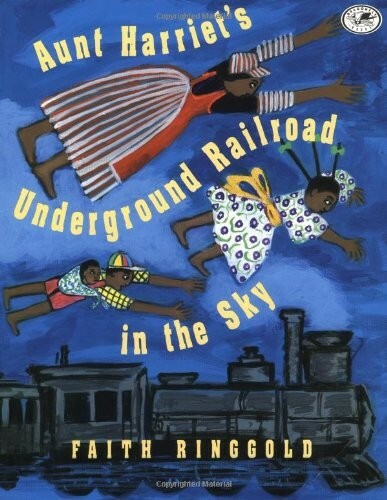 Cassie, who flew above New York in the Caldecott Honor Book Tar Beach, soars into the sky once more. This time, she and her brother Be Be meet a "ramshackled train in the sky'' full of people, and Be Be joins them. But the train departs before Cassie can climb aboard. With Harriet Tubman helping her along the way, Cassie retraces the steps escaping slaves took on the real Underground Railroad and is finally reunited with her brother at the story's end. For more stories about African American girls and women, visit our African American History section. Faith Ringgold was born in Harlem, but now divides her time between New Jersey and La Jolla, California. She is a professor of fine art at the University of California at San Diego, where she teaches for half of the year. An artist of international renown, Faith is best known for her story quilts -- works that combine painting, quilted fabric, and storytelling. 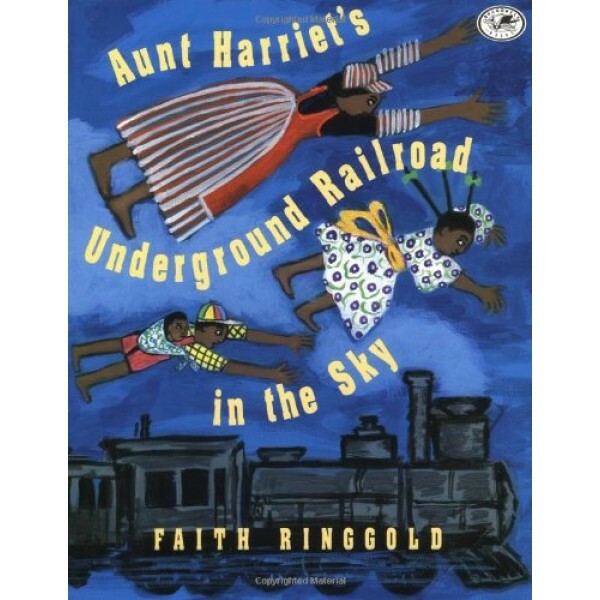 Faiths first book for children, Tar Beach, was a Caldecott Honor Book, a winner of the Coretta Scott King Award for illustration, a Reading Rainbow featured selection, a New York Times Best Illustrated Book, and the recipient of numerous other honors, including a Parents Choice Gold Award.